Log in to your LWS panel. Click on the domain you want to modify. Under Domain name header, click on Domain management. 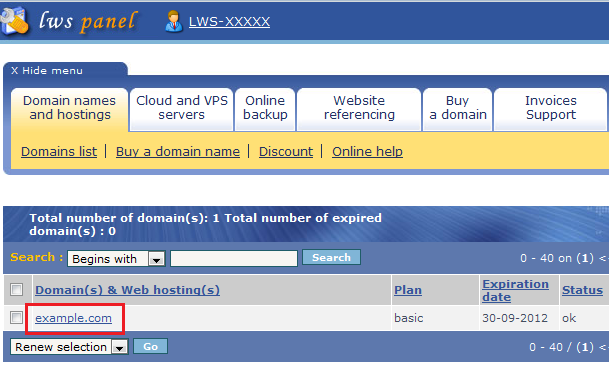 Click on DNS zone management for domain name. In Enter the canonical name, enter your domain name or subdomain (e.g. mail.example.com. if your email address looks like contact@mail.example.com). Do not forget the final dot. Next to Enter the string record, enter v=spf1, then your SPF data (e.g. a mx ~) and finally check SPF record checkbox.